Let’s say you get obsessed with a song. And let’s say it’s an old song, one that’s been around a long time and has been performed so many ways that it’s no longer possible to name any particular version of it as definitive. If you’re like me, that’s when you fire up a Youtube search and start tracing the journey the song has taken. Tracking a song’s history like this is one of my favorite things to do. No kidding: Start digging at “Louie Louie” or “Sh-Boom (Life Could Be a Dream)” and revelations await you. And I can never get over how easy it is to do in this modern age: I can remember when this kind of adventure in listening was only possible for hoarders, DJs, and hoarding DJs. This month I’ve been appreciating “Muleskinner Blues,” a song with an especially rich heritage. I grew up with two very different country versions of it: one by Merle Haggard and one by Dolly Parton. (As you can tell, my Dad was a broad-minded sort of fellow who allowed both kinds of music in the house: Country and Western.) So when I heard the Fendermen’s 1960 pop version of it on the radio earlier this summer, it made me curious and I started trying to find out where else the song had been. T’ain’t nuthin’ the matter, Captain, but I just ain’t gwine. There’s already all kinds of stuff going on here in Dickson’s opening line. It’s about hard labor, and the singer is black. “Shine” is a racial term, there seem to be two characters in dialogue: we don’t know what they call themselves, but what they call each other is “Captain” and “Shine.” And of course it’s the blues proper, but it’s such an early and raw instance of the blues that you can hear the music’s close relation to older forms like the field hollers and work-gang songs that Alan Lomax caught on tape. The long, loud opening vocal line is especially close to the genius of the field holler. These elements —the racial subtext, the dialogue form, the long yell– will all fade in and out of the song as it is re-imagined over the years. Rodgers’ vocal inventiveness takes center stage here: just try predicting where his voice is going to go next. But the eclectic guitar work is equally important, letting several different kinds of music put in an appearance (around 1:40 the lead guitar decides it’s depressed with this Blind Lemon Jefferson stuff and wants to be in a very different song altogether, perhaps one by Chet Atkins). And then there’s the mule. 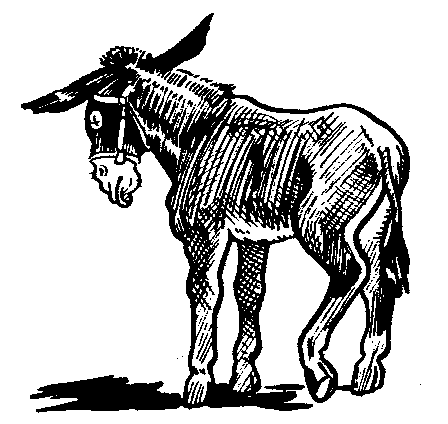 “Muleskinner” is just a funny name for a muleteer or mule-driver; a person who specializes in keeping the mules moving. “I can pop my initials on a mule’s behind” is a comical boast about proficiency with a whip. The mule gave a song full of aural hooks the lyrical hook it needed to catch on. Jocelyn Neal’s book The Songs of Jimmy Rodgers includes a chapter called “Why Everybody Wanted to Be a Muleskinner.” She tries to put her finger on why this mixed-up song was such a success: “All the poetic elements that comprise the song were present in the general rhetoric of blues lyrics prior to Rodgers. From that perspective, Rodgers’s composition was more an act of compilation than of original authorship…” (p. 36). In addition to the presence of Dickson’s “Labor Blues,” Neal hears bits of Alger “Texas” Alexander’s 1927 “Section Gang Blues” and many other things. Neal proposes that some of what makes the song special is its oddness and disjointedness, the way it’s betwixt and between various settled things. She cites “the song’s highly irregular phrase rhythm and song structure, which consist of the complex and interrelated structures of text declamation, melodic patterning, and meter, on multiple hierarchical levels” (p. 41). Among other things, all that looseness means that there’s room for a talented performer to play around. Swapping out yodeling for laughter, and putting some spoken word and chicken-clucking into the vocals, Gibson turned it into even more of a party. There’s a palpable suspense between some of the lines that any entertainer would covet, and Gibson maintains a joyful self-consciousness about the whole affair (“they love me!”). The laughing is really out of control, and the dialogue has morphed oddly (“I’m an old muleskinner” “Yeah, you are!”), but the space for guitar playfulness is still there. And as intentionally corny as the vocals are, they do approach in their own way the edginess that seems to be part of the genius of “Muleskinner” in its many forms. In both of these evil-laugh cases, the artists seem to be covering The Fendermen (listen to the guitar on the bridges) without tapping into anything earlier. And the banjo work is also formidably fun. As comfortable bluegrass interpretations go, it’s hard to beat the Stoneman Family’s recording of it: these folks know what they’re doing with the song. By midcentury there are too many other versions to mention. But around 1969, Merle Haggard impressed old-time Country music fans with his ability to pull off a credible yodel without breaking out of the C&W groove. There’s surely a lot that’s wrong with Parton’s version (the overdone sound effects, one too many sassy vocal asides), but there’s no denying that she takes control of it (“I’m a lady muleskinner down from Tennessee way”) and finds things in it that nobody else had found. “No girl ever sang that song” is reportedly what one of the studio musicians said, ignoring at least Odetta. Still, in 1970 it was some kind of subversive for a woman to manhandle “Muleskinner.” Parton held the note on that opening line (“Good mooooooooooooooooooooooooorning, Captain!”) long enough to draw shocked applause, and her quaver and “hey-hey” opened up possibilities that later singers would have to entertain. The falsetto reaches of yodelling haven’t always been congenial for the female voice, but Parton puts the notes so high that they get where they need to go. Sorry to end on that note!